On Monday, March 9, 2015, Dr. Pninit Russo-Netzer gave the following presentation to the First International Congress of Viktor Frankl’s Logotherapy in Haifa, Israel. LogoTalk Radio thanks Dr. Russo-Netzer for giving her kind permission to share the address with you. 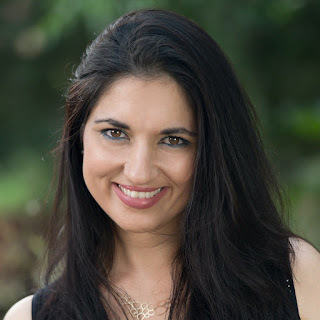 Pninit Russo-Netzer, Ph.D., is a researcher at the department of Counseling and Human Development, University of Haifa and the Maytiv Center for Research and Practice in Positive Psychology, School of Psychology, Interdisciplinary Center, Israel. Her main research and practice interests focus on meaning in life, positive psychology, spirituality and spiritual development, positive change and growth. Dr. Russo-Netzer is a practitioner of positive psychology, a diplomate clinician in logotherapy, and the chair of the Logotherapy Association in Israel. 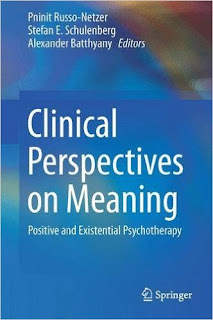 She serves as academic advisor and consultant to both academic and non-academic institutions, develops training programs and curricula for various organizations, and is the co-editor of Meaning in Positive and Existential Psychology (2014), Clinical Perspectives in Meaning (2016) and Search for Meaning in the Israeli Scene (forthcoming). In the past, society’s sense of support and coherence was achieved through processes such as continuity, socialization, and transmission of traditional patterns (Buxant, Saroglou & Tesser, 2010); however, nowadays these processes are challenged by the rise of globalization and the progression towards a more individualistic and pluralistic world. Forces and processes such as industrialization, urbanization, and the decline of the moral authority of religion (Cushman, 1990) provide a context for disengagement, deconstruction of values, and loss of meaning (Moules, 2000). Existential vacuum leaves Western industrialized societies hungry for meaning more than ever (Frankl, 1969). This state of affairs is even more complex and critical in the development of children and youth. 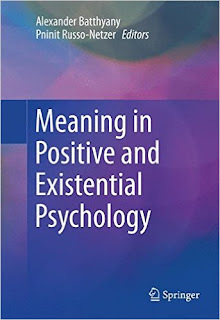 Addressing “ultimate concerns” of meaning and purpose in these critical periods through education may facilitate the development of a healthy sense of meaning, responsibility, and shaping a purposeful path, a meaningful reason for being. This presentation will focus on Frankl’s meaning triangle (pathways to meaning) and explore its different manifestations in theory (i.e., by highlighting potential corresponding concepts within the field of positive psychology), application (i.e., by presenting insights gained from logotherapy workshops conducted in higher education), and research (i.e, by presenting an exploratory attempt to develop children’s meaning questionnaire based on Frankl’s meaning triangle).